​​Gaia - Protogenoi, first born deity. Greek goddess personifying the Earth. Galatea (i) - Nereid nymph, daughter of Nereus and Doris. Lover of Acis, and pursued by Polyphemus. Galatea (ii) - Name given to statue created by Pygmalion and brought to life by Aphrodite. Galene - Nereid daughter of Nereus and Doris. Greek goddess of Calm Seas. Ganymede - Trojan prince, son of Ilus. Abducted by Zeus to become his lover and the cup-bearer of the gods upon Mount Olympus. Gelanor - Mortal king, son of Sthenelas. King of Argos. Geras - Early god, son of Nyx. Greek god of Old Age. Geryon - Gigantic son of Chrysaor and Callirhoe, and therefore grandson of Medusa, famously encountered by Heracles during his tenth labour. Glaucus (i) - Sea-god born mortal but transformed by the consumption of a magical herb. Often guide to lost seafarers. Glaucus (ii) - Prince of Crete born to King Minos and Pasiphae who drown in honey and was resurrected by Polyeidus. Gorgo Aix - Monstrous goat, offspring of Helios. Ally of Titans during Titanomachy. Killed by Zeus. Gorgons - three monstrous daughters of the sea deities Phrocys and Ceto, normally named as Medusa, Sthenno and Euryale. Graces - Alternative name for the Charites, three daughters of Zeus and Eurynome, named Aglaia, Euphrosyne and Thalia. Greek goddesses of Joy and Festivity. 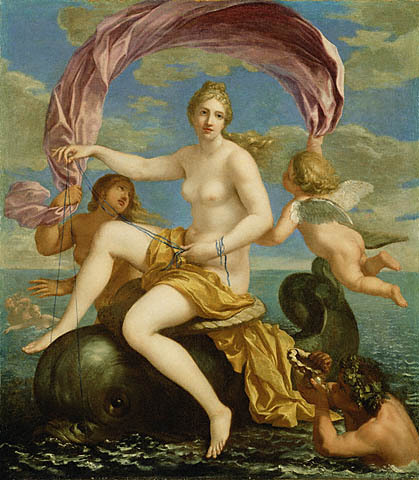 Graeae - Group of goddesses, three daughters of the sea deities Phorcys and Ceto, named Enyo, Deino and Pemphredo. Personification of white sea foam. Gyges - Hecatonchire, gigantic son of Ouranos and Gaia, brother of Briareus and Cottus. Guardian of the gates of Tartarus.